Faraji Sorbaghi, L., Beheshti, A., Amin Karbala, M., Kamanbedast, A. (2014). Evaluation and Seepage Analysis of Rock-Fill Dam Subjected to Water Level with Seep and Flac in Gotvand-Olya Dam. 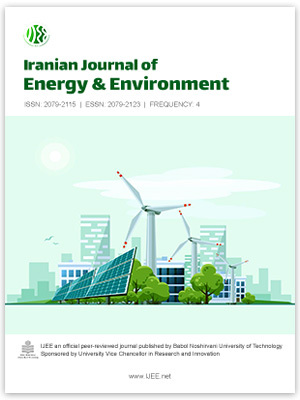 Iranian Journal of Energy and Environment; previously called: Iranica Journal of Energy & Environment, 5(4), -. Leila Faraji Sorbaghi; Ali Beheshti; Mohammad Amin Karbala; Amirabas Kamanbedast. "Evaluation and Seepage Analysis of Rock-Fill Dam Subjected to Water Level with Seep and Flac in Gotvand-Olya Dam". Iranian Journal of Energy and Environment; previously called: Iranica Journal of Energy & Environment, 5, 4, 2014, -. Faraji Sorbaghi, L., Beheshti, A., Amin Karbala, M., Kamanbedast, A. (2014). 'Evaluation and Seepage Analysis of Rock-Fill Dam Subjected to Water Level with Seep and Flac in Gotvand-Olya Dam', Iranian Journal of Energy and Environment; previously called: Iranica Journal of Energy & Environment, 5(4), pp. -. Faraji Sorbaghi, L., Beheshti, A., Amin Karbala, M., Kamanbedast, A. Evaluation and Seepage Analysis of Rock-Fill Dam Subjected to Water Level with Seep and Flac in Gotvand-Olya Dam. Iranian Journal of Energy and Environment; previously called: Iranica Journal of Energy & Environment, 2014; 5(4): -.